Going over the budget is the biggest fear that people have when planning plumbing renovations. It is important to keep costs to a minimum when planning renovations to ensure you get everything done. 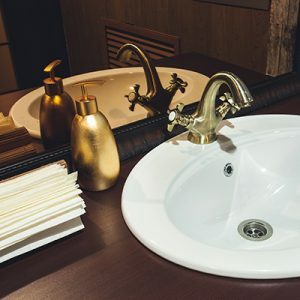 Here are a few tips from a plumbing expert that can help you get the quality you desire within your budget estimates. Keep movement to a minimum when conducting renovations for your kitchen or bathroom. Moving everything around may mean that you have to tear down walls and rip apart the flooring. The result will be higher costs due to the repair of the flooring and the walls. Not only does it cost you money, but it also takes more time when everything is repositioned. Your contractor has been on quite a few jobs. During that time, he has gained experience on what types of fixtures save you money. Additionally, he may have leftover material from past jobs. You can ask him to sell these materials to you at a reduced cost. Before you hire a contractor, ensure that you have a good estimate of everything. You can go online and see the prices of the types of fixtures you desire. Additionally, request your contractor to give you a quotation. Using all these resources, make an estimate of how much it will cost. If it is beyond your budget, simply cut some of the unnecessary renovations. There is a lot of money to be saved by using second-hand items. For instance, big hotels may opt to replace everything although it is in good condition. You should visit sites like eBay and try to find such great deals. Even worn out items can be renovated with a bit of painting to look new. Take as much time as you can to find these items. At times, a $500 fixture could cost you just $100 if it is slightly chipped. Take time to look for such bargains that could help you cut costs while getting you quality. There are many ideas to help you reduce the cost of plumbing renovation. However, these are the finest ways to save huge chunks of cash. Another trick worth mentioning is to transport the items yourself .it will help you avoid the cost charged by the contractor for hauling the items to your home.